Dr. Terry Wollen graduated from Kansas State University, College of Veterinary Medicine in 1972. <br><br>Following two years in the Army Veterinary Corps, he joined a food animal practice in Nampa, Idaho, where he developed skills in beef, dairy and equine medicine. 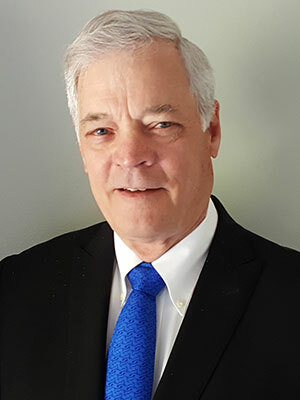 <br><br>Terry then joined Bayer, Animal Health Division, as a Technical Services veterinarian that merged into pharmaceutical clinical development, working on very interesting products, such as the fluoroquinolone enrofloxacin for cattle and the hyaluronic acid product for horses. <br><br>After 20 years at Bayer, Terry and his wife went into the international NGO field where he served as the Head of Mission for the international NGO UMCOR in Armenia. After four years, they joined Heifer International, working initially in four of Heifer's Asia country offices and finishing 10 years at the headquarters in Little Rock. <br><br>To wrap up his working career, Terry signed on as Livestock Advisor to the Global Health Fellows program in the Office of US Foreign Disaster Assistance (OFDA), which is the disaster response arm of USAID. <br><br>In 2015, the American Veterinary Medical Association awarded the International Veterinary Congress Prize to Dr. Wollen, which recognizes outstanding service by a member of the Association who has contributed to international understanding of veterinary medicine.<br><br>Terry and his wife Judy have now retired to Connecticut, where the couple have 20 acres in their House in the Woods on Wollen Pond and are close to their grandchildren. Terry continues to serve on short term assignments to strengthen livestock practices in developing countries. shifting of normal weather patterns leading to drought and flooding. Examples of current processes of change will be explored to illustrate the difficult challenges of food and livelihoods security, with a focus on regions where livestock are critical to the nutrition, economics and well-being of the community. This presentation will also illustrate where veterinary workers, including young professionals, can be involved and what skill-sets are needed to understand how to engage for lasting change. A proposal will be put forward on the idea that we shift our thinking from having developed countries “feed the world” to having people of the world to feed themselves. Each community can become more self-sustaining and take on more of their responsibility for their own food security. This session is part of the AVMA Practice Profitability Core. Seating is limited. 1. To develop our thinking about ways to diagnose, treat and prevent global food insecurity. 2. To explore examples of the impact of government transitions gone bad, the suppression of community gender roles, the displacement from conflict, and shifting weather patterns that lead to hunger and poverty. 3. To develop a new mantra: conquering the disease of food insecurity by insuring the world that it can feed itself.